Kivenpyörittäjä (Tales And Travels) was released this time last year and you could well be forgiven for not coming across this album in your travels. Had I not received an email from Juha himself asking if we would be interested in listening and perhaps even reviewing the album, then like many others this rather engaging album would have passed me by unnoticed. Keyboard player and composer Juha Kujanpää hails from Finland’s capital city where he writes music for movies, documentary films and theatre productions, along with being actively involved with two acoustic folk ensembles, Karuna and Kirjava Lintu. His own music and the subject of this review, crosses many borders from folk, through jazz and along the journey encompasses several other genres. The end result is an absorbing album that can be listened to on many levels. Before delving into the review just a quick note regarding the album title, which initially caused me some confusion. 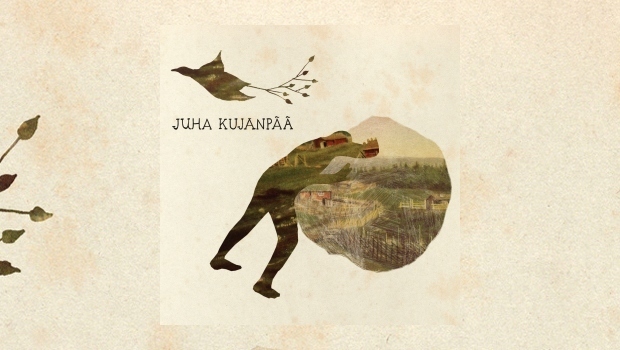 Fortunately Juha kindly explained that due to translation difficulties the album has two titles, the Finnish version is Kivenpyörittäjä and the English Tales And Travels. My Google translation offered “stone TiltRotators” whereas Juha’s translations suggested “rolling stones” or “rock’n’roll”. None of which quite captures the essence of the music, nor the album cover which depicts a man rolling a large boulder or stone. From the very opening track the delicate folk infused arrangements ring out with their attractive melodies and intricate interwoven instrumentation. Matkamusiikki which more readily translates into Tales And Travels has a hypnotic quality, provided by the repetitive string section and syncopated hand claps which in part reminded me of a less spikey version of the delightful Aranis. A glance at the impressive list of musicians will also provide an insight to the endless possibilities for the music and throughout this opening track the layering of immensely tuneful themes meld together and conjure Mike Oldfield at his most creative. Kivenpyörittäjä (Boulder Dash) continues in a similar vein although there is more emphasis this time around on the progressive rock elements of the music. The string section is joined by the “band”, who feature more prominently than in the opening track, beefing up the overall sound that builds from start to finish. Guitarist Timo Kämäräinen turns in some strong themes throughout and concludes the track with a fantastic melodic guitar solo. A great track, at times reminiscent of fellow countrymen and the enjoyable Mist Season. Timo returns with yet another fine solo in Suomenenmaa (Samba Da Finlandia), this time around with a slightly more bluesy feel. And there’s a different approach to the arrangement here, Scandinavian folk music is combined with smooth jazz which in turn is complimented by the woodwind sections and brass. Moving on the touching Hääpolska (Wedding Polska), is a gentle and lilting tune befitting its title and here I’m going to skip a track and bring in Different Polska as it seems appropriate to bring theses two tunes together. Again Different Polska retains the flavour of the wedding, opening with pizzicato strings and an engaging melody on the violin, however there’s some cleverly chosen, slightly jarring notation that changes the mood. The piece has a ying-yang flavour and although it all flows neatly together there’s an inference that not everything is settled. As the tune proceeds the polka moves into distinctly jazzy territory and Verneri Pohjola’s trumpet captures the moment wonderfully. Two extremely complimentary pieces. And that is the beauty of instrumental music, you can put your own interpretation or slant on the inspiration behind the tunes. So back stepping slightly by one track to Arkipäivän Ylistys (Ode To Everyday), a tune that has all the hallmarks of a sea shanty – but I get the feeling I’m may be off the mark? Here the more traditional instruments form the basis of the piece, lead by Teija Niku’s accordion, whereas the electric guitar conjures a playful modern-day Focus. In contrast the clock-like pulse to Islannin Vesi (Iceland Water) returns us to the hypnotic flavour of Matkamusiikki, however this time around the melody reminded me of a film or television theme. Circa halfway through the music is rudely interrupted, (in the best possible way), by a melodic Hackett-esque solo, returning to the calm, only to revisit once again for the conclusion. I suppose it was inevitable that with such a fine cast and with the instrumentation available that a move into the classical field was to be attempted, successfully I might add. 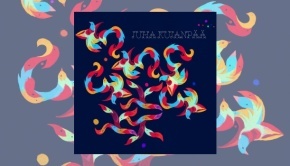 Kaukametsä (Far Forest) evokes Finland’s finest composer Jean Sibelius with its flowing melody a splendid arrangement and you can almost sense Finlandia or even sections of the Karelia Suite. But as with Islannin Vesi the guitar takes us into the realms of progressive rock, heralded by a gutsy glissando then together with the band they offer a stately rhythm for another melodic passage. Tranquillity returns firstly for the beautiful Heinäkuun Yöt (Nights Of July), which as the translated title implies invokes a warm summer’s evening and then the revisiting of themes from Kaukametsä (Far Forest – reprise). I did most of my early listening to Kivenpyörittäjä via Bandcamp, but was pleased when the CD arrived as it did add a dynamic range missing from the MP3s. Compositionally this is an extremely well constructed album, with strong arrangements and musically the blending of the string section, brass, woodwinds and electric band is superb. 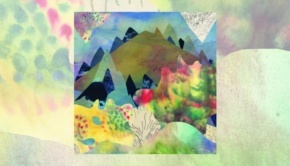 So all in all a really pleasant find and certainly an album worth discovering. One final note before signing off is the notion that throughout this review I’ve almost entirely omitted any reference to the man whose name forms the title of this release. A testament to the Juha that he has chosen to take somewhat of a back seat and let the music speak for itself. So rather than produce an album to demonstrate his own redoubtable skills he has produced an album of well written, enjoyable pieces of music.